Why aren’t we talking about the racism in The Book of Mormon? There’s been nothing but kind words for The Book of Mormon, but upon seeing it, I’m wondering if we’re missing something important. The most self-aware moment is when the two white missionaries gleefully claim to be as African as Bono during a song called I am Africa. They go on to list a complete range of African stereotypes: “Zulu spear”, “running barefoot”, “primitive”, endowed” etc. The problem is, the narrative does not critique these caricatures but serves only to reinforce them. This character is the only Ugandan we care about but I have no idea what her name is because the Mormons refer to her as things like “Nicotine” and “Nutella”. The audience roars with laughter because isn’t it funny how unpronounceable foreign names are? She is highly fetishised, particularly through a baptism scene with a Mormon missionary that is layered with sexual innuendo. 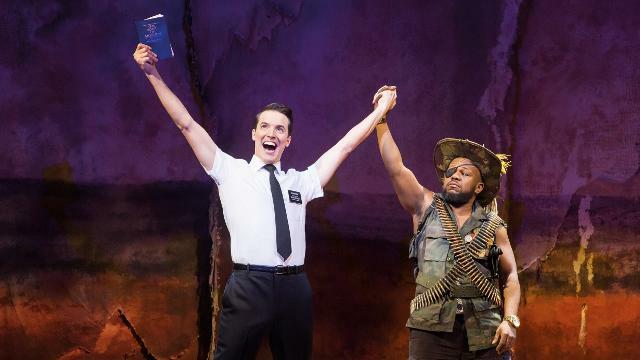 The Mormons themselves have actually done rather well out of the musical, reportedly standing outside theatres with flyers and benefiting from a spike in conversions. So the answer to this is…not really.